Reports indicate that Delaware’s three online poker sites netted 14 percent more in combined gross revenue in March than the month prior. After two consecutive months in which revenues exhibited declines, Delaware’s fledgling Internet poker industry made a modest comeback in March. Figures released by the Delaware Lottery indicate that the state’s iGaming market brought in nearly $85k in online poker revenue last month with online gaming totals eclipsing the $200k barrier – a new state record. Poker-only proceeds comprised approximately 44 percent of total online gaming revenues. But despite boasting month-over-month gains of 14 percent, the state’s three poker sites still produced less revenue in March than in December and January. 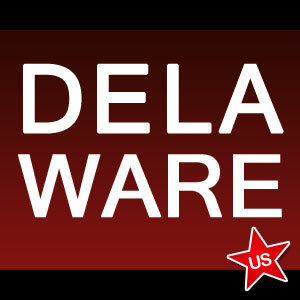 Since launching real-money online wagering last autumn, Delaware has struggled to find its niche in the regulated market, largely due to its miniscule population of under a million and low tourist rates. Poker revenues were up from $73,971 to $84,392, amounting to a 14.1 percent increase. However, daily averages were only up from $2,642 to $2,722, or just over 3 percent. The discrepancy is due to the length of March relative to February. The amount wagered on table games was up drastically, from $2.2 million to $4.8 million. This marks the second consecutive month in which table game wagering figures more than doubled. Fewer new players signed up for online poker in March than in each of the four months prior. Month-over-month new signups were down approximately 8 percent. Overall iGaming revenues were up nearly 24 percent, with online casinos bolstering larger percentage gains than poker. Of the state’s poker sites, Delaware Park continues to dominate the market, currently holding 65 percent of the industry’s market share. Dover Downs resides in a distant second (25 percent) with Harrington Raceway and Casino bringing up the rear at 9 percent. However, market dominance is not nearly as large a determining factor of worth as it is in New Jersey, as all of Delaware’s poker sites share liquidity and a common operator in 888. Things are looking up for Delaware’s burgeoning iGaming industry. From the start, it was widely believed that the state’s online poker market could not truly flourish until it aligned with other states. That much sought after partnership came to fruition in late February, when Delaware Governor Jack Markell and Nevada Governor Brian Sandoval signed the nation’s first interstate gaming compact. Set to go live sometime late this summer, the compact, and the larger population base that comes with it, should entice players who have shied away from Delaware’s poker sites to give them another go. Better yet, according to DGE consultant Mario Galea, it’s possible that New Jersey might opt into the compact by year’s end. As a mode of comparison, the average New Jersey resident contributes an average of four times the online poker revenue when compared to those residing in Delaware, indirectly proving that the larger the population pool, the more interest there is in online poker. Should NJ enter the pact, 888 – which currently boasts iGaming interests in all three state’s that regulate online poker – could emerge as the nationwide market leader.